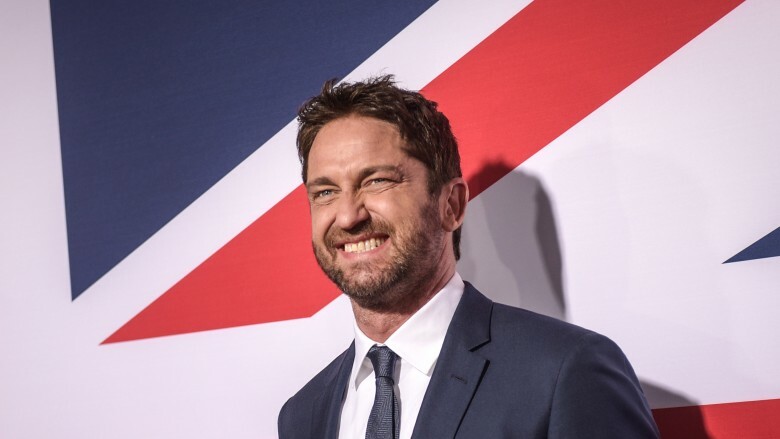 Scottish actor Gerard Butler first came to the attention of the masses as King Leonidas in the 2007 war epic 300, bursting onto the Hollywood scene in a blur of muscle and blood. Zack Snyder's take on Frank Miller's popular graphic novel became a huge hit, with audiences digging the unique style of action and the finely crafted physiques of Leonidas and his Spartan warriors. That said, much of the acclaim seemed to come with a disclaimer that warned against heaping too much praise on the cast, Butler in particular. The real test would come after 300, when the leading man would be forced to cover up his pecks and do some actual acting. Unfortunately for Butler, it didn't quite pan out that way — and here's why. Butler was something of a late bloomer to acting, and at times it shows. The Scotsman didn't even consider becoming an actor until the age of 27 when he saw a production of Trainspotting at the Edinburgh Festival and decided he wanted to be up on stage himself. He was working at corporate law firm after graduating from Glasgow University with a law degree, though he was fired a week before he was scheduled to be promoted from trainee to solicitor due to his erratic behavior. So Butler moved to London to pursue his dream and landed a part in the very Trainspotting production that inspired him to leave the legal profession behind, returning to the Edinburgh Festival the following year as part of the cast. It was the start of his journey to Hollywood stardom, though the time he spent training to become a solicitor rather than an actor has left him at a disadvantage. The skills that it takes most top actors years of hard work to fine tune just aren't present, and as Butler's limited range is further exposed with every role he takes, his options are becoming equally as limited. One skill that Butler hasn't been able to develop (though not for lack of trying) is how to mimic accents. For foreigners, making it in Hollywood usually depends on whether or not they can produce something close to an American accent, yet Butler can't seem to go more than a few sentences without his broad Scottish drawl breaking through and giving the game up. The Brit attempted to adopt Californian tones during early interviews Stateside, though even he admits that he wasn't fooling anyone at this early stage. While he has managed to become slightly more convincing as an American over the years, he still can't seem to get through a movie without slipping up a few times, and even his own friends have told him that he sounds like an idiot when he tries to adopt a U.S. twang. American isn't the only accent he has had trouble with, either. Despite having been exposed to it throughout his youth by Irish family members, the actor personally apologized for his butchering of the Irish accent in the 2007 romantic comedy P.S. I Love You. The alternative to having Butler adopt an accent is allowing him to keep his Scottish one, though this doesn't always work out for the best either, as Gods of Egypt director Alex Proyas discovered first hand. Proyas was too busy apologizing for the whitewashing of a film set on the African continent to field less serious questions about Butler's accent, though numerous critics questioned why an Egyptian god sounded like an extra from Braveheart. The Wrap was one of many outlets to bemoan Butler's take on the ancient god Set in their review, saying that his "untamped Scottish accent buries every line of his dialogue under the Pyramid of Groundskeeper Willie." 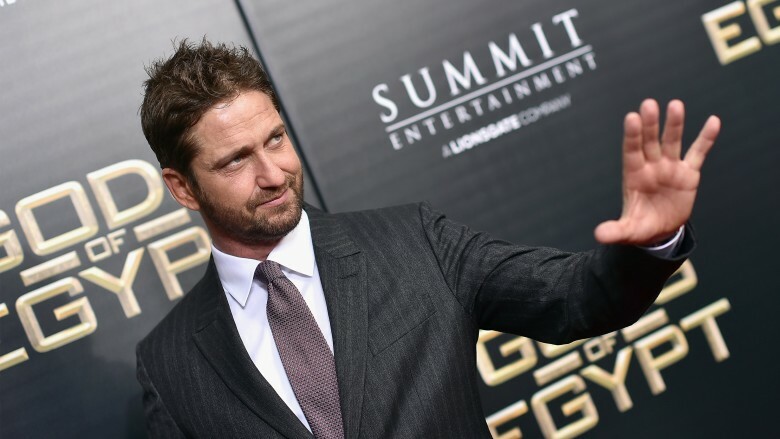 Accent aside, Butler's status as an A-list leading man was on a knife's edge in the lead up to 2016's Gods of Egypt, and the film's staggering losses served as proof that he simply isn't a box office draw. The film only managed to pull in $31 million domestically, despite a whopping budget of $140 million. While tentpole blockbusters that bomb at home often go on to make a profit in the foreign markets, Gods of Egypt made only a fraction more abroad than it cost to make, meaning huge financial losses after marketing costs. While he certainly took it on the chin for Gods of Egypt (described as "his hammiest performance to date"), it wasn't the first time Butler has felt the wrath of critics. The year 2016 was a particularly bad year for the Scotsman, with pretty much every project universally panned. Low key drama The Headhunter's Calling "reeks of a vanity project for Butler" according to The Guardian, which criticized him for "bellowing most of his lines as if he's still King Leonidas, stuck in Sparta." His action sequel London Has Fallen didn't fare much better, hamstrung by allegations of casual racism and a poor reaction to Butler as Secret Service Agent Mike Banning, a character that "lacks the charisma and one-liners" of other action stars. Of course, none of this is anything new to Butler, seeing as his films are rarely reviewed positively. In fact, his Rotten Tomatoes filmography features 34 films — with just 5 awarded the coveted Certified Fresh rating, with 23 of them scoring 50 percent or less on the Tomatometer. Unless you count 1997's Tomorrow Never Dies (Butler had a minor role in the Pierce Brosnan Bond flick), only three Gerard Butler films have managed to break that golden $100 million barrier in terms of lifetime gross. DreamWorks' animated smash hit How To Train Your Dragon (2010) has earned a total of $217 million to date, comic adaptation 300 (2007) has brought in a sum of $210 million over the last decade and How To Train Your Dragon 2 (2014), while not quite reaching the heights of the original, has still made $177 million over its short lifetime. All three of these films obviously rely heavily on CGI in one way or another, and the fact that Butler has only managed to find this level of success thanks to the work of talented animators begs the question — can Butler carry the load when things are stripped down to the bare bones? 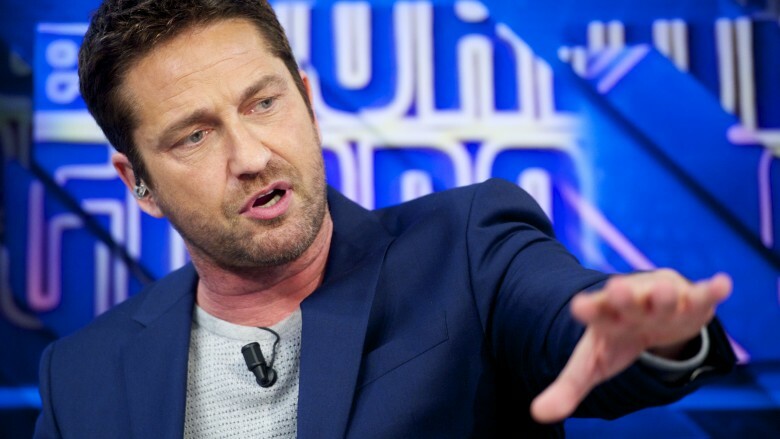 There was a time when "Gerard Butler 300 workout" was one of the most routinely Googled phrases on the planet, and his 300 physique is still what he is best remembered for today. Zack Snyder's fantasy epic launched Butler to stardom and set the stage for a career as an action hero, but the actor decided to go in the opposite direction. 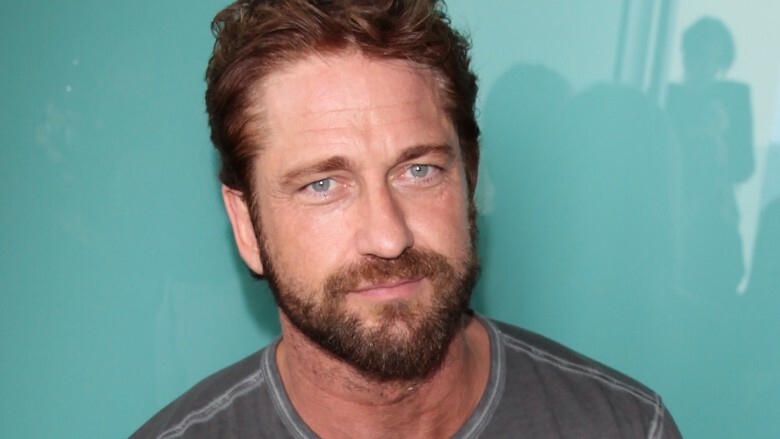 While he kept up the tough guy act with appearances in Guy Ritchie's RocknRolla (2008) and crime thriller Law Abiding Citizen (2009), his most notable roles in the years that followed 300 were in romantic comedies. P.S. I Love You (2007), The Ugly Truth (2009), and The Bounty Hunter (2010) were all slammed by critics, with The New Yorker asking to meet the agent who sold Butler to the studios as a rom-com star in their review of the latter. The magazine called the Scot "a brutish actor whose career should be confined to playing sword-bearing Spartans and perhaps wrestlers in the netherworld of cable." The fact that he's been having a torrid time with the critics wasn't lost on Butler. The actor openly admitted he should have been doing better, but refused to shoulder all the blame for the failure of his films. Butler blamed a mixture of bad luck and incompatible directors for some of his misfortunes, and the Scotsman also revealed he was well aware his days in Hollywood were numbered if he didn't get his act together soon. "If you make a few movies in Hollywood that don't make a lot of money, you've got to be careful." Those comments come from 2013 before the monumental losses of Gods of Egypt, so by Butler's own logic his time might be running out. The 2013 presidential action thriller Olympus Has Fallen was a real labor of love for Butler, a film he was passionate about and involved with from start to finish. Butler told The Independent that he "worked so much on the script, ripping it apart and putting it back together, really putting flesh on the bones of it and trying to give it some real substance and meaning in terms of a fun, action thriller that is going be a rousing experience." He also revealed that he tries to separate the "nasty and mean" comments from the "constructive criticism" when it comes to reviews, though he has his work cut out for him here. Not only as the film's star, but as a writer and producer, too. Olympus Has Fallen was criticized on every level, with Butler reportedly coming across "like the producers' third or fourth backup, even though one of the producers is the star himself." 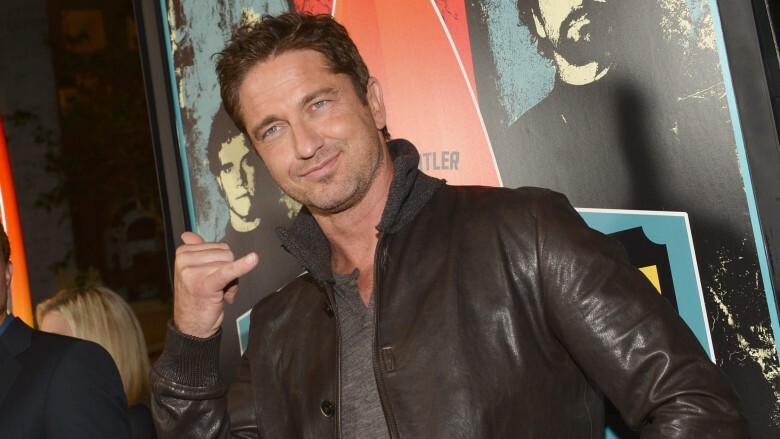 What's next for Gerard Butler? Well, more of the same from the look of it. The Scotsman is currently filming an action flick called Hunter Killer where he plays a submarine captain tasked with rescuing a president — though this time it's the Russian head of state kidnapped by terrorists. 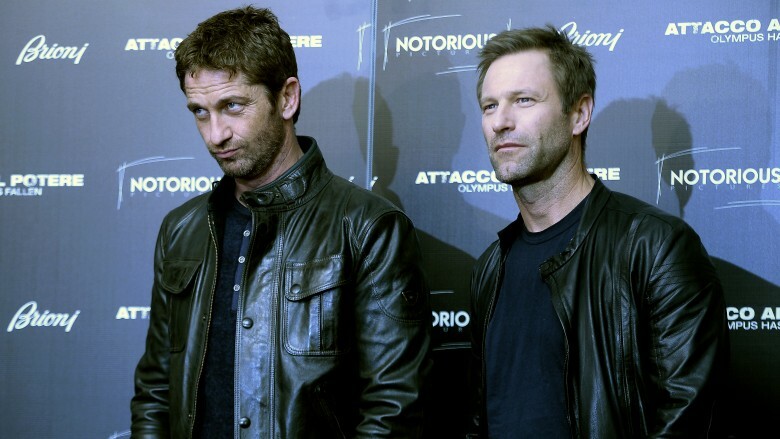 The movie will also feature Billy Bob Thornton and Gary Oldman, and while those two names would normally inspire confidence, let's remember that two fine actors in Aaron Eckhart and Morgan Freeman were in Olympus Has Fallen and London Has Fallen. And even with their talents they couldn't lift those films above the level of mindless B-movies. Speaking of Freeman, he has surprisingly agreed to return for Angel Has Fallen, the third film in the Fallen franchise due for release in 2018. While slammed by critics, the previous two films have proven profitable enough at the worldwide box office, and a good chunk of the new sequel's budget has likely been put to one side for Freeman's paycheck. 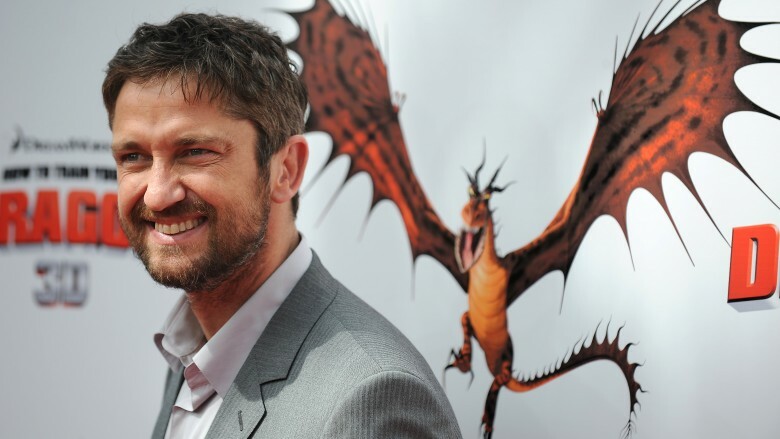 Perhaps the only glimmer of hope for a major hit in Butler's future is his chance to once again provide the voice of Stoick the Vast in How To Train Your Dragon 3, slated for 2019.